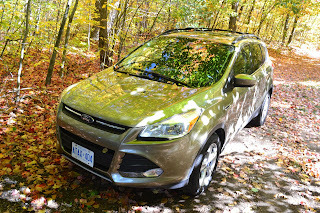 So we recently got a chance to test drive the new 2013 Ford Escape. In all fairness we a true Ford family. 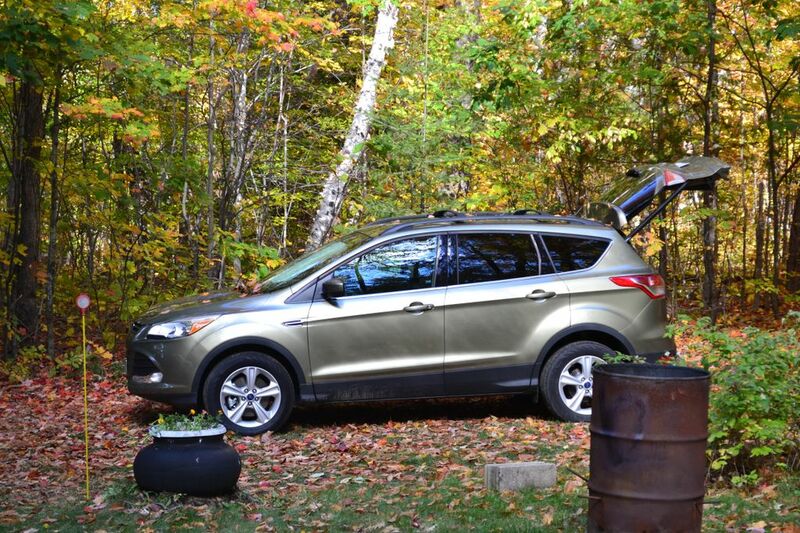 We currently drive two Ford vehicles, including a Ford Edge (which we love). 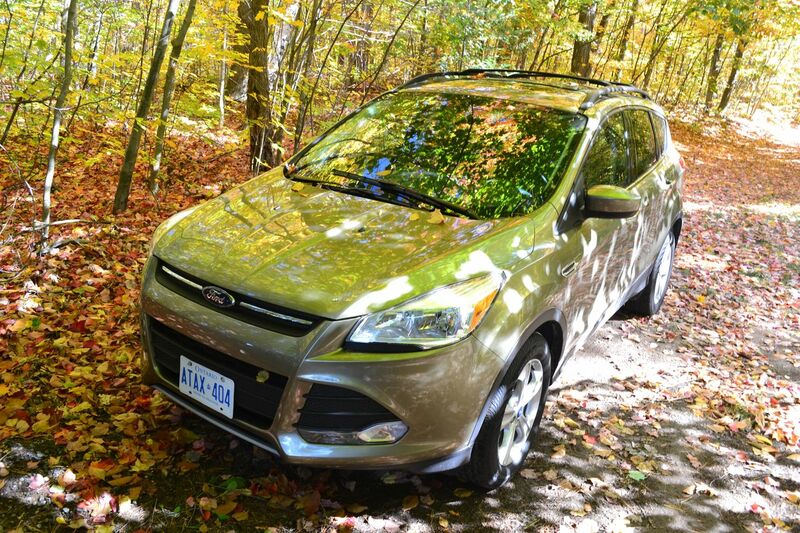 When we saw the new re-designed Ford Escape we were so excited. We love the new body design. 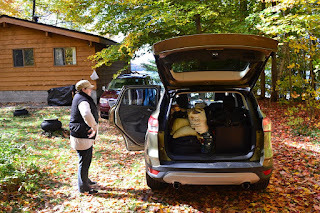 We decided that we would load the Escape up with two adults, two kids, a dog and lots and lots of stuff and head to Muskoka and the cottage. We were a little worried that there wouldn't be enough room for all of us and our stuff BUT we were pleasantly surprised that we got it all in and everyone was comfortable. As you can see we packed the back pretty tight and there was still room to spare. There was more than enough room for the kids in the back seat. There was even room for the puppy to move around. Ok, so who is coming to help me unpack? 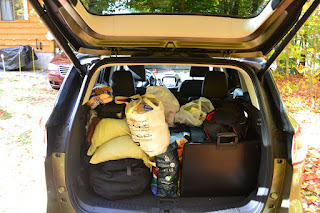 There was more stuff in this car than one person should be allowed to unpack! 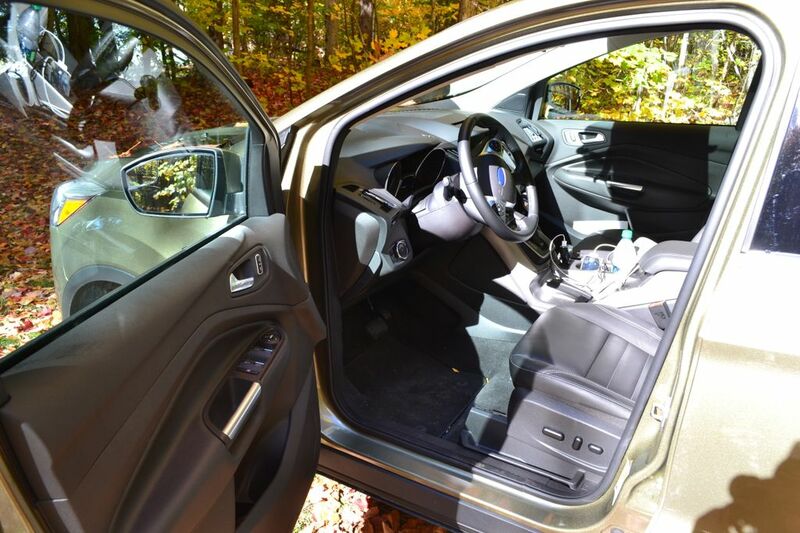 We really like the interior of the car, including the front dash with all the bells and whistles like the nav and sirus radio! I will admit I didn't actually site in the back seat but the front seats were very comfortable. The driver seat was great, the seat almost felt molded just to me. 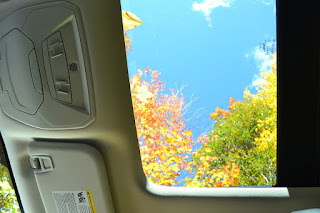 The only concern I had was that the passenger seat just didn't have as much leg room as I had hoped, the glove box was large and got in the way a bit. 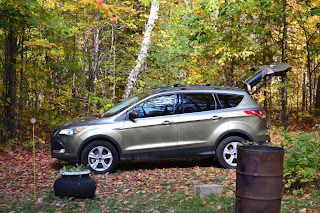 The other feature that I can't show you but we just loved was the fuel economy thanks to Ecoboost. Firstly, it doesn't cost a lot to fill the tank and then it last! We loved driving it and it is worth a look if you are looking for a car to zip around the city but still has the room to hit the road with the family.